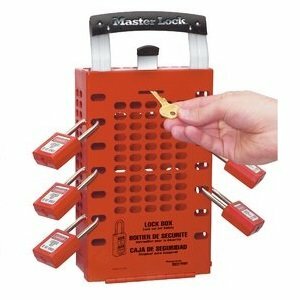 Master Lock No. 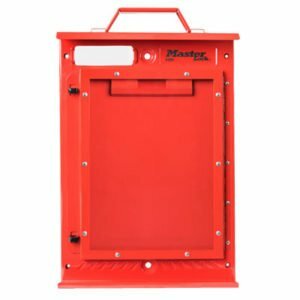 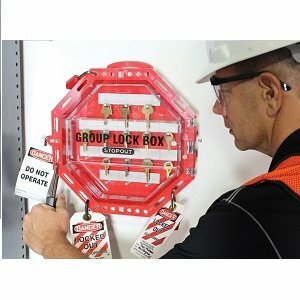 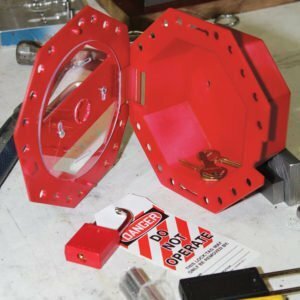 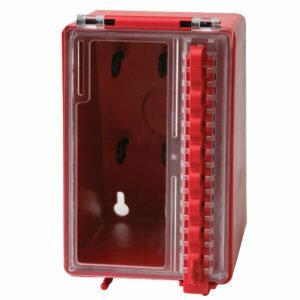 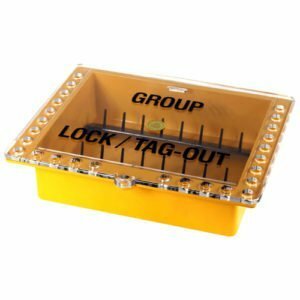 503RED Latch Tight Group Lockout Box, red, accepts 14 padlocks or lockout hasps and can be mounted to the wall or carried from job to job. 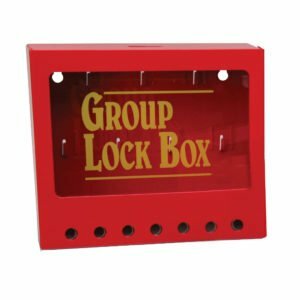 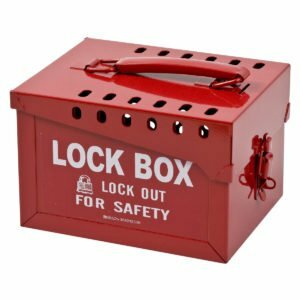 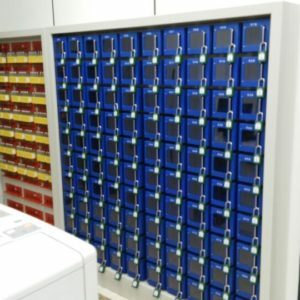 • Lock box holds hundreds of keys and includes organized storage for 12 keys in back of box. 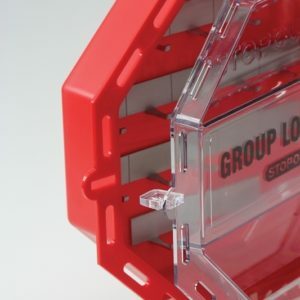 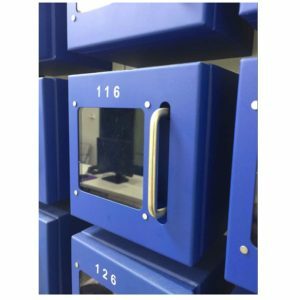 • Also features an exclusive, patented Latch Tight locking mechanism that prevents keys from being accessed until the last padlock or hasp is removed from the box.